Would you like to earn £15 of M&S vouchers by referring a friend to an award-winning insurance broker? Do you know a friend, family member or business associate who might benefit from our service? 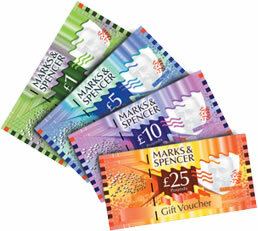 Refer them to us and if they become a client you will receive up to £30 in M&S vouchers* to say thank you. Ask your friend, family member or associate to call us quoting FRIEND2017 and make sure that they tell us your name, address and phone number. Should that person incept and maintain a qualifying insurance policy, personal or commercial, with us then you’ll receive the vouchers. For premiums over £250 you’ll receive £15 of vouchers and for premiums over £500 that’ll increase to £30. *Please visit our “Terms and Conditions” page for full details about this promotion.